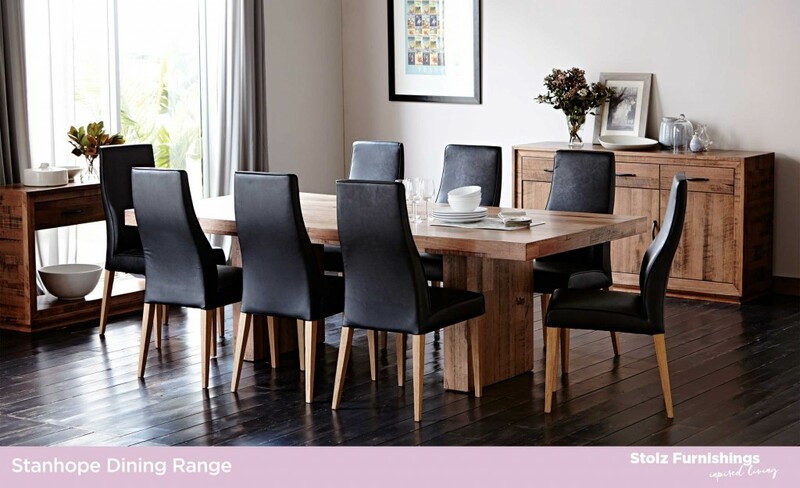 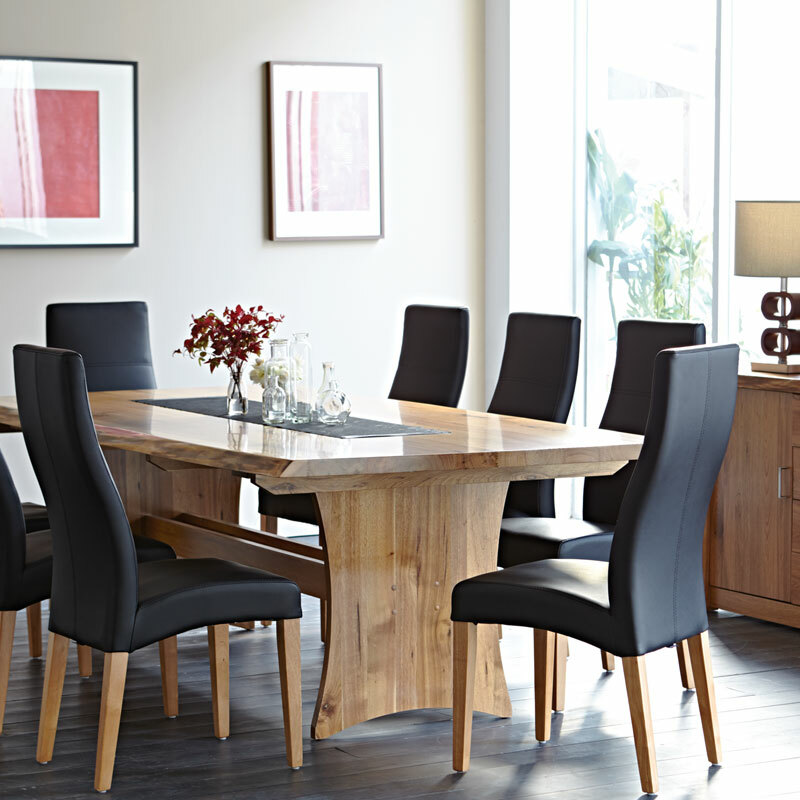 This beautiful Marri timber dining suite with Parker Chair features solid timber construction and generous seating.. 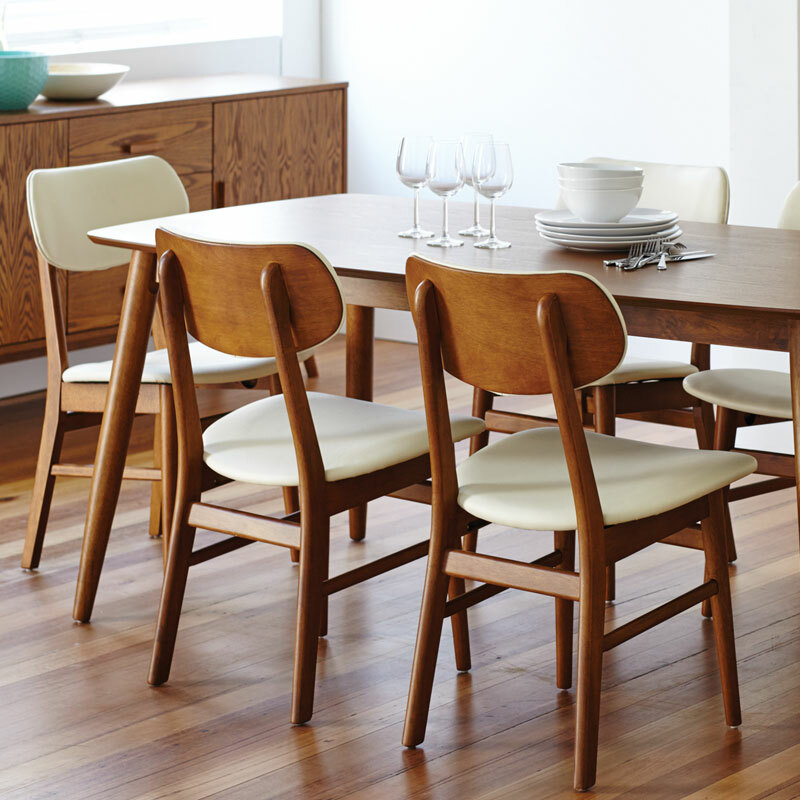 Beautifully crafted in Chestnut, the Argyle will bring a unique and modern flare to any room setting. 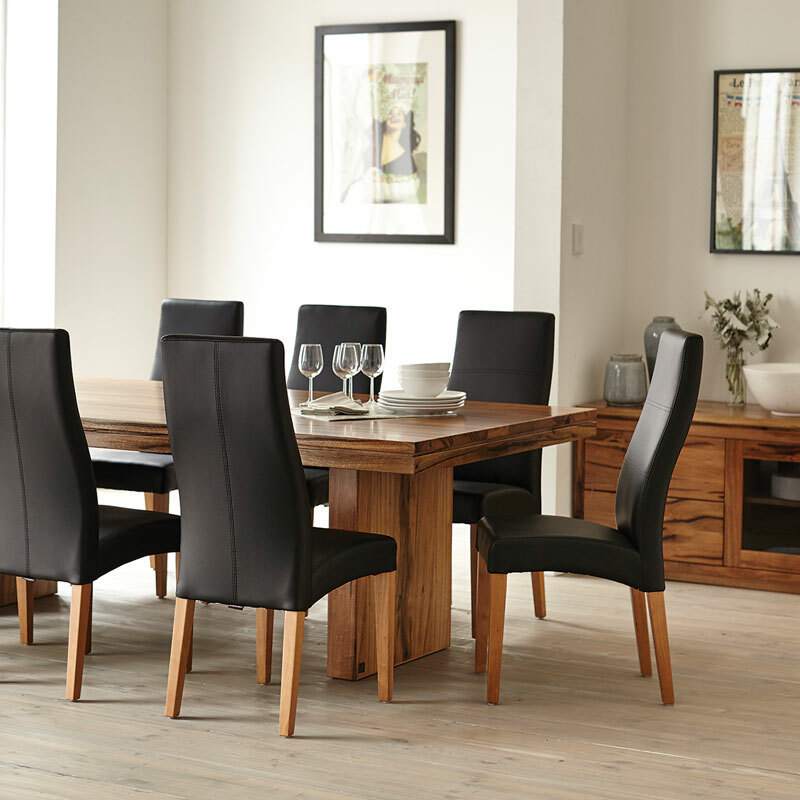 Displayed with the high back Parker dining chairs. 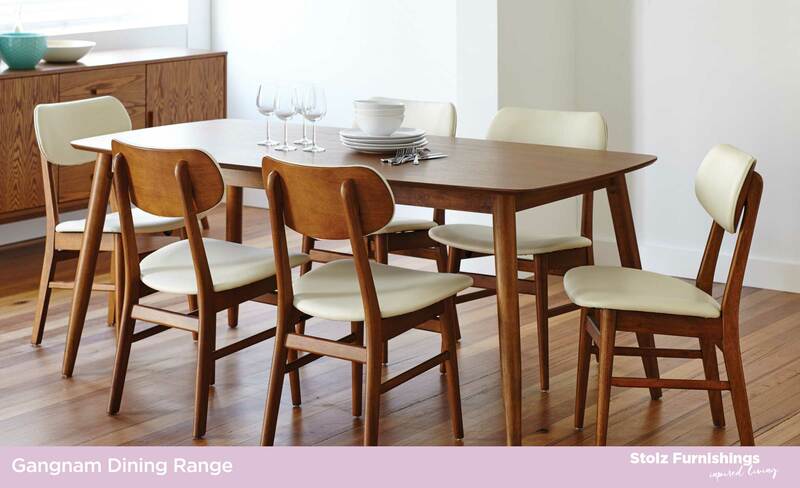 Complete your retro inspired theme with this vintage look dining setting. 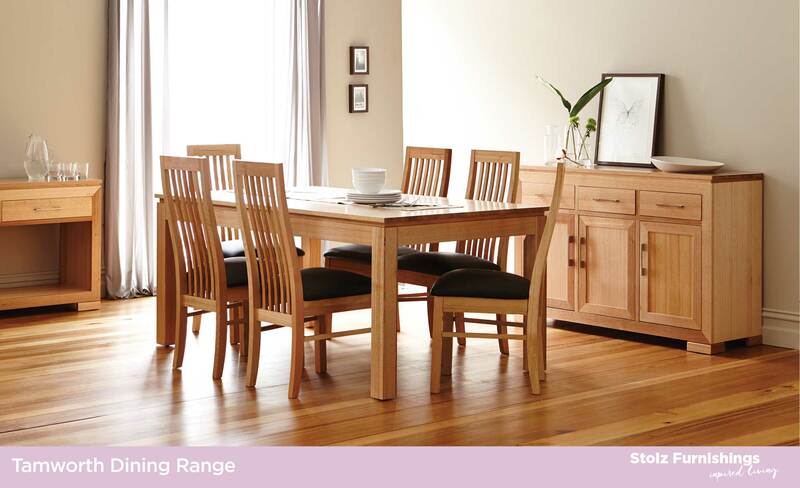 Available in both Natural or Teak. Natural available with black or white chairs. 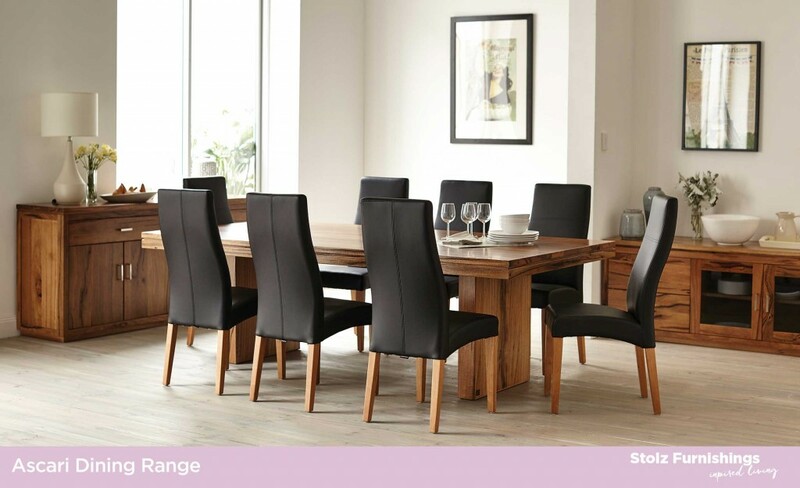 Teak available with black or cream chairs. 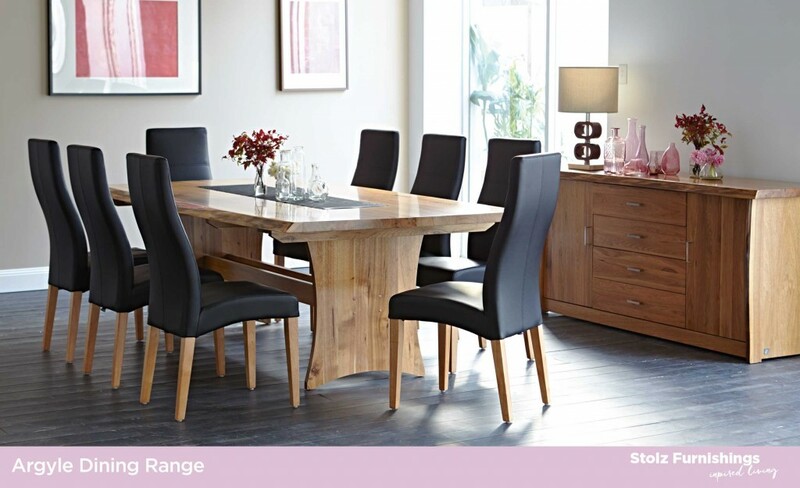 The Tiffany Dining range is reminiscent of French rustic and crafted from Plantation Mango in Honey stain. 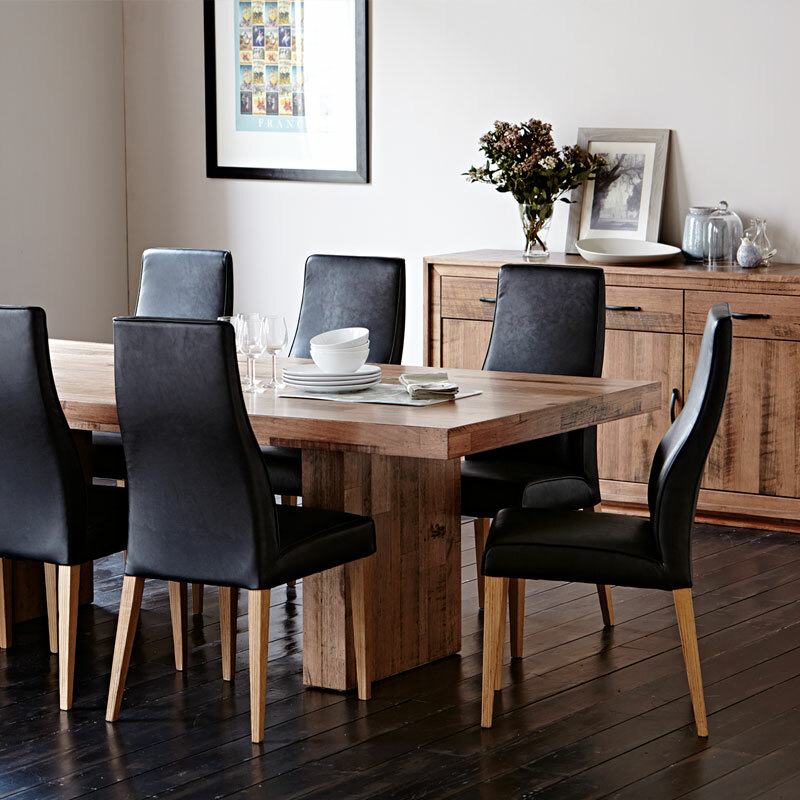 This beautifully crafted Australian Ash timber range has got the balance between traditional and contemporary just right. 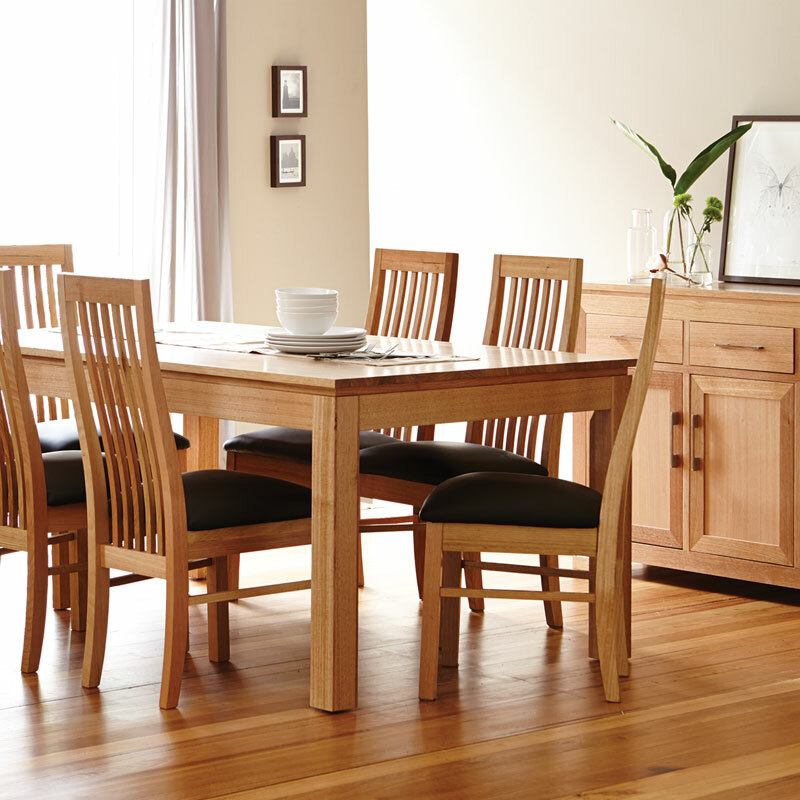 The Stanhope in Tasmanian Oak has a warm presence and will add a touch of elegance and comfort to your home.